Calli Norton is one happy college graduate. 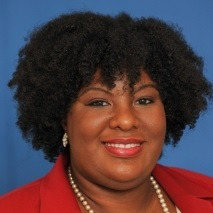 Not only did the lover of politics begin an exciting job in her field of study right after graduating West Virginia State University (WVSU) this spring, she’s working exactly where she wants – in Washington, D.C., the nation’s seat of government, public policy and power. As a White graduate of a historically Black college, Norton is somewhat unusual – but a lot less unusual as time passes. She’s an example of the growing ethnic diversity on the campuses of the nation’s 100-plus degree-granting historically Black colleges and universities (HBCUs). While the presence of White, Latino and Asian students at these schools is not a new phenomenon, they are attending HBCUs in increasing numbers, representing a growing proportion of the student body. In many cases, African-American students have ceased being a majority at HBCUs. At some, they are a small minority among a White majority. Additionally, graduate, professional and online programs at HBCUs tend to draw non-Black students at higher rates. At WVSU, which was founded in 1891, White students accounted for 62.8 percent of the enrollment in fall 2017. African-Americans constituted 8.9 percent, Asian/Pacific Islanders made up 6.2 percent, students identifying as multiracial constituted 5.5 percent and just over 15 percent chose to not self-identify. But racial diversity is not new to the university, notes its president, Dr. Anthony L. Jenkins. There were significant numbers of Asian and international students as early as the 1920s, and the student population flipped to majority-White in the 1960s, he says. Enrollment has jumped, particularly in online programs, as WVSU has drawn increasing numbers of out-of-state students through enhanced marketing and supportive alumni associations in major cities across the nation, says Jenkins. Given some projections of a fall-off in Black high school graduates in coming years, HBCUs would be wise to become even more intentional about competing with historically White institutions for Black students in particular and for other students in general, contends Jenkins. A historically welcoming attitude toward non-Black students is true of HBCUs elsewhere, say other observers, who note that HBCUs have never had policies of racial exclusion even though they were established with the specific mission of educating the descendants of slaves in a racially segregated society that limited their access to anything that could provide upward economic and social mobility. 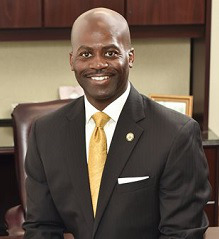 At St. Philip’s College, an HBCU in Texas established in 1898, White students accounted for 26 percent of the student population last fall – more than double the Black student population of 11 percent, which has been fairly consistent since the school went public in 1945, says Adrian Jackson, the community college’s public relations director. Hispanic students were the majority at 56 percent, an indication of the changing demographics in the district from which the school draws its 13,000 students. HBCUs appear to be increasingly attractive to White and other non-Black students who are first-generation, low-income, nontraditional or seeking a familial, culturally diverse environment. And the school does it by being true to their mission, says Dr. Felecia Commodore, an assistant professor of higher education at Old Dominion University. Demographic changes in the community surrounding a school and high-quality specialty programs at an affordable price are other enticements to non-Black students, says Dr. Steve D. Mobley, Jr., an assistant professor of higher education at the University of Alabama who studies HBCUs. He and two colleagues, Dr. Nina Daoud and Dr. Kimberly A. Griffin, authored a chapter this year titled “Re-coloring Campus: Complicating the Discourse About Race and Ethnicity at Historically Black Colleges and Universities” in Advances in Education in Diverse Communities: Research, Policy, and Praxis. “Because people hear ‘Black’ in the name, they think that means exclusively Black, but that’s never been the case,” says Mobley. For example, at his undergrad alma mater, Howard University, White females were among the first students – their father, Gen. Oliver Otis Howard, was the founder. Over the decades, non-Black scholars found a home teaching at HBCUs when they were “quotaed out” of historically White institutions or rejected because of anti-Semitism, which is a reason Albert Einstein once taught at Lincoln University, says Mobley. So, it would not be surprising that non-Black students would find HBCUs welcoming, too, he says. On the other hand, agrees Commodore, they will find the range of supports for which HBCUs have been known regardless of size or location. It’s the kind of environment that made Norton enjoy her four years at WVSU. A star softball player at her Catholic high school in Boca Raton, Florida, she was recruited by colleges in several states. She wanted a school with great academics, particularly a strong communications program, and an opportunity to play her sport. After extensive background research, she made some campus visits. At WVSU, she says, she found an “extremely beautiful” campus and warm coaches and staff who won her over. Norton immersed herself in student life, pitching for the softball team all four years and serving two terms on the student senate. 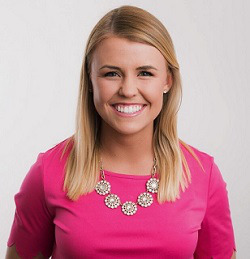 She scored three internships – including one in D.C. and one with West Virginia Congressman Alex Mooney – and was the founding president of campus chapters of Turning Point USA and the NRA Collegiate Coalition. This article appeared in the Aug. 9, 2018 issue of Diverse.